Mastermind #1 was held this morning at our Queen West office. 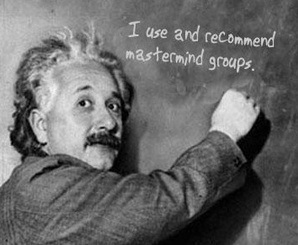 Just for some background, Mastermind is really just a good old fashioned jam session where agents can come in and talk openly about any topic they want. Bosley has been doing it for many years up at our head office but many of the agents who live and work downtown wanted a downtown version. As this was our first meeting, attendance was pretty low but I did get several messages from agents who encouraged us to keep at it. So here were the few things we touched on in our first Mastermind; You have been out showing condos to a client. You have probably seen 15 so far and all of a sudden, out of no where, the client decides that condos aren’t their thing anymore. Now they want to look at income properties with their brother. Next, You have been casually talking to a freind about helping them buy their first home. Although nothing is signed or official, you have been sending them listings, and staying in touch. All of a sudden you find that they went into an open house on the weekend and bought through the listing salesperson. Next, you listed a house that is priced about $10K higher than the identical house next door. While you are still getting plenty of showings, you still haven’t gotten an offer yet and it has been a month already. You need to ask for a price deduction but you know the seller is counting on the extra $ to buy their next house. Finally we talked about financing home improvements and briefly discussed financing options on building new. We had lots of great conversation on each topic and generally agents who posed the questions got some terrific feedback. Some topics require a lot more discussion than others. The hope is that through talking about our concerns and our trials and tribulations, we will all become better agents.